David Nickless, a highly experienced foodservice industry professional, has joined Falcon’s sales team as area sales manager for South West England. 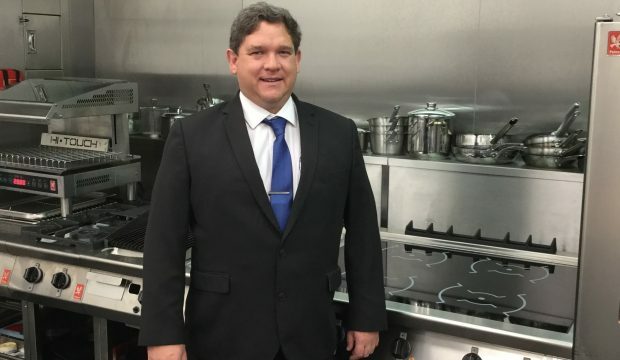 Although David only came to the UK from his native South Africa in 2015, he’ll be a familiar face to many foodservice operators and distributors, having worked with Pyramid Catering Equipment, Atosa Manufacturing and Catering Supplies, and Whitco Catering and Bakery Equipment. Before coming to the UK he was in food industry sales in South Africa, working for bakery specialist Cake Flora. He’s also well qualified for catering equipment sales, with a Diploma in Professional Catering, a Certificate of Marketing and a CFSP (Certified Food Service Professional) award. David joins at a time when Falcon has expanded and revamped its sales team in order to focus on delivering ‘the best customer support on the market.’ His primary task will be to work closely with Falcon distributors to ensure they have the business tools and knowledge they need to provide the ideal Falcon solution to end users. He replaces Paul Bayer, who has taken up the new role of sales manager for Lainox combi ovens, which Falcon distributes in the UK.